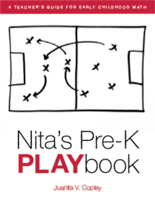 Nita's Notebook and Nita's Pre-K Playbook offer intentional mathematics instruction for the young child. 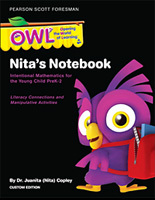 Nita's Notebook offers Intentional, Hands-on Mathematics For Pre-K students. Recognized internationally for her work in early childhood mathematics, Dr. Juanita (Nita) Copley has published books for the National Council of Teachers of Mathematics and the National Association for the Education of Young Children. The activities in Nita's Notebook compliment the math instruction in Opening the World of Learning™ and engage children in mathematical ideas and problem-solving. 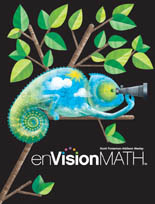 32 Lessons designed to integrate mathematics and language arts. 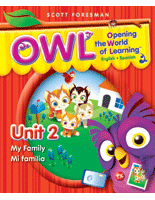 A math-focused reading of the OWL trade books introduces children to a math concept that becomes the basis for student-created books. Problem-solving books and conceptual books teach children how to write with the specific lesson. 35 Manipulative Activities help children develop math understanding of geometry, spatial sense, measurement, and number concepts. Manipulatives are used to develop a math concept appropriately and intentionally. A Teacher's Guide for Early Childhood Math describes the use of 15 different manipulatives with 15 different tasks and employs 15 different instructional methods to provide different ways for children to practice the same concepts. 15 Tasks - Aligned to NCTM Focal Points, developmentally appropriate trajectories, and (in preparation for) state standards for Kindergarten..
15 Manipulatives - Each task can be completed using 15 different manipulatives, allowing children to practice concepts with different materials. 15 Instructional Methods - Each task can be completed in 15 different ways, enabling the organizational flexibility necessary in early childhood classrooms. Skill areas includes: exploring and sorting, numbers and counting, geometry, and measurement. Nita’s Playbook online access provides video clips of each task that were filmed in real classrooms, along with debriefing questions for reflection and discussion.